We are reputed for our fast and simple mobile windscreen repair service. Using quality car glass, we are able to carry out car window repairs for your vehicles quickly and efficiently. A windscreen chip can get worse if it is neglected and not rectified by the driver, so make sure that you use our glass repair service rather than having to resort to windscreen replacement at a later date. 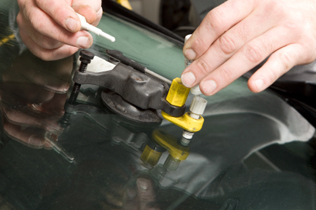 Windscreen chip repair is a fast and easy process when working with Screen Genies. We are able to come to you and ensure that your vehicle is safe to drive and check that our Windscreen chip repair work has been successful to get you back onto the roads. Screen Genies will fit privacy and security films to your car glass or to any of your work vehicles. This is a safety precaution if you have tools you need to leave in your work vehicle for long periods of time. This is done using our window tinting service. Never considered using a window tint on your vehicle then now is the time to get in touch and see what we have to offer. To find out more about the advantages of having a car window tint or in fact tinted windows on any vehicle then visit our window tinting page. Our technicians will cut and fit all glazing with our windscreen repairs mobile service. We supply quality glass/car glass made to order. All our fitters are site safety certified. If your business needs a fast and affordable service, Screen Genies are here to cater for your fleet vehicles. 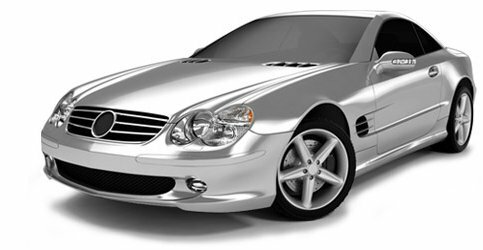 Whether you have a windscreen chip, or need a car window repair, Screen Genies will see that your fleet receives quality glass repair services on any car windscreen or vehicle from our fully trained team. Although our address reads we are based in the Cheltenham area we are also able to visit surrounding ares such as Gloucester and Worcester. Check our map and contact page to see if we travel to your area. Screen Genies offer a mobile service for fully comprehensive and third party cover. We can arrange for a screen technician to visit you at your car, whether you happen to be at home, work or between journeys to see to any windscreen repairs you might have. For a hassle free service, Screen Genies will contact your insurance company, all we need are the details of who your cover is with. We stock glass and windscreens for a large range of vehicles. We only replace glass if it can't be repaired. Our staff are highly trained and their work is guaranteed. All Windscreen repair work and other services come with a Screen Genies guarantee. We have only succeeded if our customers are happy with our fast and affordable service. For more information on how to use our glass repair services for your windscreen chip or crack then get in touch with us. Continue to browse our pages for work we can undertake for your car windscreens and other services that Screen Genies can provide. For extra information on what services we have available including windscreen repairs please give us a call using the numbers on our contact page. Whether you live in Cheltenham, Gloucester, Worcester, Evesham, Swindon or Oxford we can help.